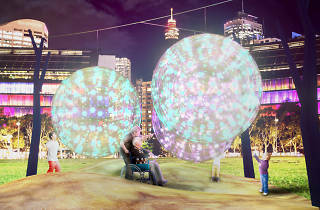 Kids of all abilities will be able to enjoy the interactive light installations at Tumbalong Park in Darling Harbour. 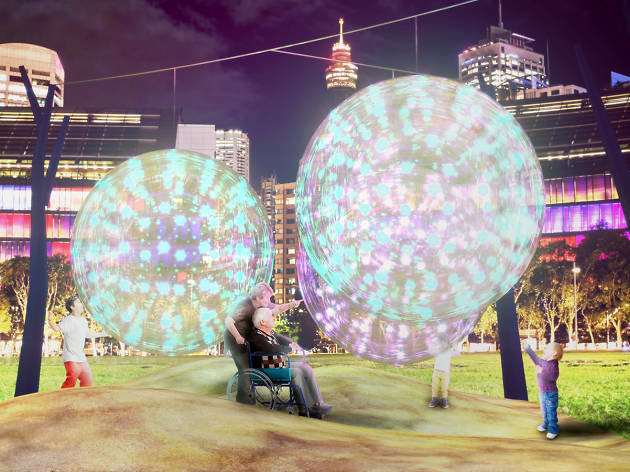 The project is new to the Vivid Light program this year, and features an aquatic-themed playground of light creating sensory experiences that foster feelings of control and belonging. Among these light projections is a roller rink that replaces skates with wheelchairs and a giant musical keyboard. You can avoid the crowds and customise the experience by booking ahead for a low sensory session Monday to Wednesday, before the playground opens to the public at 6pm.